Almost 55% of those polled said they oppose Farragut’s proposed annexation of Concord. 45% of voters said they support the idea. Voters in the 30-49 age range proved to be more supportive of the idea, with just over 53% supporting annexation. As the voter base aged, the results were quite different. Voters aged 50-65 were more opposed to the idea of Farragut annexing Concord by almost 58%. 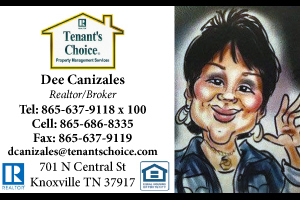 Seniors were opposed to the annexation by almost 55%. Slightly more men than women were opposed to the idea, with just over 57% of males disapproving of the proposed annexation. 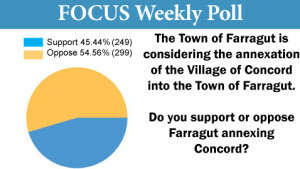 A majority of women also disliked the idea of the Town of Farragut annexing Concord, albeit by a smaller margin of roughly 53%.